We have already reported about the plans of Vietnamese authorities to launch a Beach Meshing Program to prevent further shark attacks (see here). 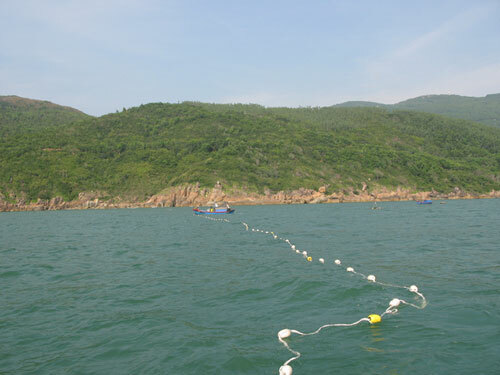 Now a recently published news-article has confirmed the installation of three shark nets, on a trial basis, off selected beaches in Quy Nhơn. It’s a coastal city in Bình Định province, located in central Vietnam. Below is a photo series showing the deployment of the ca. 1.200 metres long nets. The source is also reporting about the use of a „system of hooks“ (longlines ?) as an additional measure. 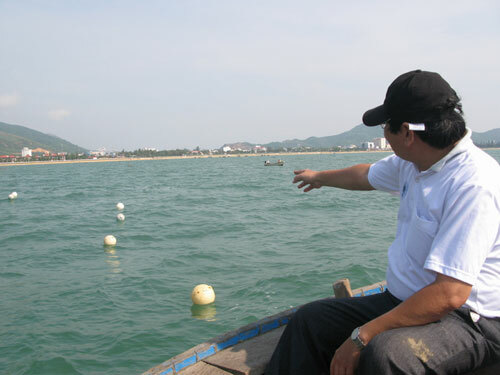 The recommendation to introduce such protective measures has been made by local scientists from the Nha Trang Oceanography Institute. This action was motivated by a string of at least ten shark bite incidents which began in the year 2009. About two years ago, the institute was assigned by the Vietnamese Ministry of Science and Technology to research the reasons behind the sudden change in the sharks’ behaviour which led to the unusual high number of bite incidents and to elaborate a protective strategy in order to prevent further shark attacks in the future. 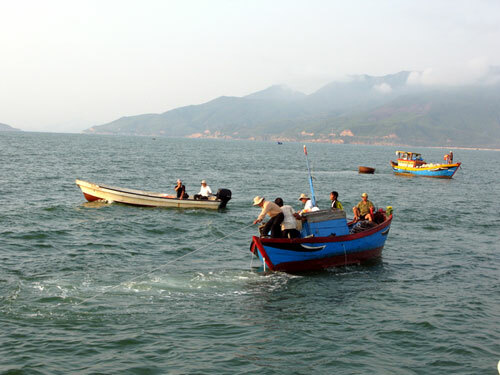 Local scientists assume that the El Nino climate phenomenon was among the causes which triggered the shark attack series in Bình Định province. – Graceful shark, Carcharhinus amblyrhynchoides. – Pigeye shark, Carcharhinus amboinensis. – Blacktip shark, Carcharhinus limbatus. 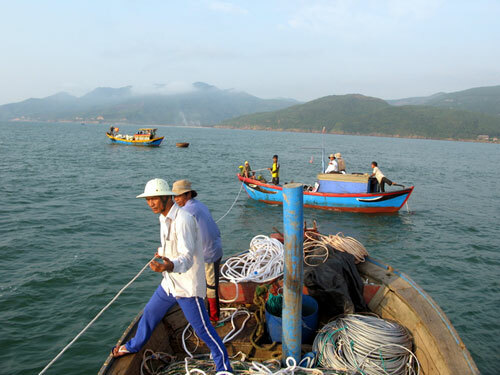 These waters are netted everyday by hundreds of local fishermen anyway. When you dive here, you see nothing palagic of any type. All shark population is alreday wiped out deceades ago. If you look at the injuries, it is clear that they are small animals. non fatal mostly non life threatening ones. Some even look like that the bites may even not be from a shark. I doubt if these nets change anything at all other than killing more sea life. 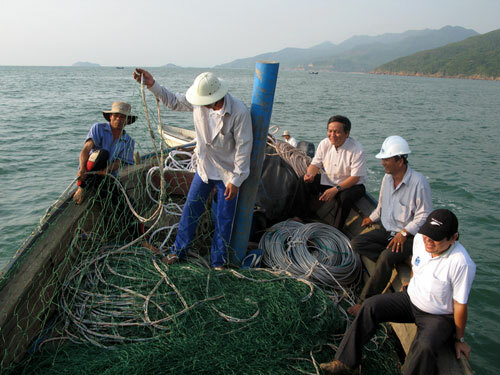 People are fighting to move the nets out of the sea, and some people are laying new ones.